Manufacturers often issue voluntary recalls of products after becoming aware of problems that can compromise safety. In some cases, the government initiates recalls to protect consumers. Consumers who are hurt by unsafe products can take legal action against companies throughout the supply chain — including retailers, distributors and manufacturers. Whether the problem is faulty design, poor manufacture or inadequate instructions, consumers can sue companies for personal injuries, as well as financial losses caused by defective products. Here are some of the major Kentucky Product Recalls of 2016. In June, Auldey Toys’ Sky Rovers were recalled for the potential of their charging cords to catch fire and burn children. The company received 35 reports of the toys’ cords overheating, but no injuries were reported. 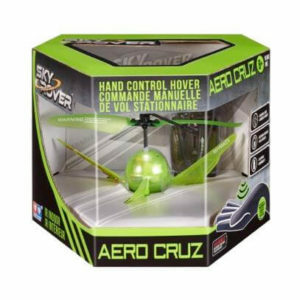 The recall applied to approximately 325,000 units of the Aero Cruz Sky Rover and the Aero Spin, which are flying toys with remote controls. The toys were sold through Wal-Mart, Amazon, and other national retailers. The Cra-Z-Jewelz Ultimate Gem Jewelry Machine by LaRose Industries also was recalled in June due to violations of lead standards. Approximately 175,000 of the items were recalled, and consumers were instructed to stop using it. The jewelry-making kit’s “Slider Bracelet” was reported to contain high levels of lead, which can cause serious health issues if ingested by children. Just before Halloween, Target recalled its seasonal LED Gel Clings because of potential choking hazards. The recall involved about 127,000 of the items, which could come apart, exposing the internal LED and button battery compartments to young children. In 2015, the big news in recalls was Takata airbags, and more vehicles have continued to be added. Ford recently contributed to that recall — one of the biggest in history — by adding more than 800,000 Lincoln, Mercury and Ford vehicles to those that may have the suspect airbag deflators. The airbag recalls also spread to other suppliers in 2016. In June, Toyota recalled more than a million vehicles because of a possible defect with its airbags made by the Swedish company Autoliv Inc. The company reported seven incidents in which a side curtain airbag erroneously deployed in Toyota Prius models. Ford announced in May that it would recall more than 270,000 of its F-150 pickup trucks because of a possible problem with the braking system. The company said it knew of nine accidents but that no injuries had been reported. The automaker said brake master cylinders in the models affected — those with V-6, 3.5-liter engines — could leak fluid, lowering the effectiveness of the front brakes. In a separate recall, Ford announced a problem with latches that could allow doors to open while vehicles are in motion. The company reported one accident and three injuries possibly related to the door latch issue. The problem affects more than 2 million vehicles in the United States alone. Fiat Chrysler recalled more than 440,000 Dodge Chargers with model years between 2011 and 2016, warning that the cars could fall off jacks during tire changing. The portion of the body the jack rests against could flex, the company noted, which could allow the car to fall. Nissan also was responsible for one of the year’s biggest car recalls, affecting 846,000 of its 2013 to 2015 Altima models. The source of the recall was a problem with latches that could allow the hood to fly open when the car is in motion. In July 2015, IKEA initiated a repair program after falling dressers killed two small children. A third child died from the same cause in 2016, prompting the company to recall more than 29 million of its chests and dressers due to the tipping hazard. Lars Peterson, president of IKEA USA, noted that the company would stop selling its Malm line of dressers. He asked consumers to remove the furniture from their homes and get a refund, or use a repair kit to connect the dressers to walls. In November, Raritan Pharmaceuticals recalled two of its homeopathic products for children: teething tablets and ear relief liquid. The products contained belladonna extract, which could pose a danger to children if consumed in large doses. The products — including CVS Homeopathic Infants’ Teething Tablets and Homeopathic Kids’ Ear Relief Liquid — were sold across the nation. The company said the recall was initiated as a precaution and that no injuries had been reported. That recall was among numerous pharmaceuticals taken off the market in 2016. Cuisinart recalled blades for more than 8 million of its food processors, citing a risk of cracking and causing injuries. As of December, approximately 69 consumers had reported that pieces of the blades were in their food. Thirty consumers reported sustaining cuts inside their mouths or broken teeth. The year’s most reported recall affected Samsung Galaxy Note 7 smartphones. After numerous reports surfaced of the phones spontaneously exploding or catching on fire, Samsung blamed the problem on defective batteries and announced a recall of 1 million phones. In addition to the formal recall, the Federal Aviation Administration required that owners of the Note 7 turn the phone off when on airplanes. However, the problem didn’t end there. After reports that replacement devices also were exploding, the company chose to discontinue the product completely. In November, the company also announced a recall of nearly 3 million of its washing machines due to the risk of excessive vibration causing lids to fly off. In August, a customer alleged in a class-action lawsuit against the company that the lid of her washer exploded, going through an interior wall in her garage. If you’ve suffered an injury or other harm due to a dangerous or defective product, a personal injury attorney can help you protect your rights. To speak to an attorney, please contact Meinhart, Smith, & Manning, PLLC.